New Features - December 2014 Features Have Arrived! 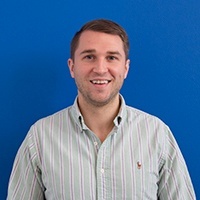 Here at Device Magic we're always working on small tweaks to make it easier for you to collect the data you need and easily create great mobile forms. Today I'm excited to share a few improvements our development team has rolled out in the last week. One of the most exciting things about our new form designer for heavy users of the product was how much more fluid our drag-and-drop editor is now... well our design team took that same feature and applied it to our select lists. 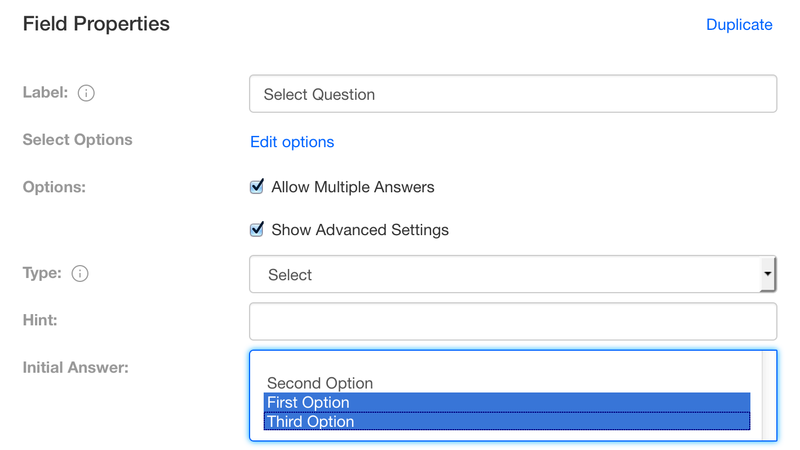 You can now opt to reorder selections the same way you reorder questions—just drag and drop options where you want them! Need to set up a form field with more than one option selected by default? Now you can! To add this option, you'll see a new check box called "Allow Multiple Answers." After checking this, click on "Show Advanced Settings" and you'll be able to choose which options from your select list you'd like to be set by default. Want all of your form submissions to be publicly accessible? Organizations can now set files stored in the Device Magic file storage to be publicly accessible for all forms at once. Previously, it was possible to do this on a form-by-form basis; now you can enable it across all the forms that use the online storage with one button. To set this up, navigate to your dashboard and click on "Account Settings" button within the dashboard (found within the blue Organization Key box). 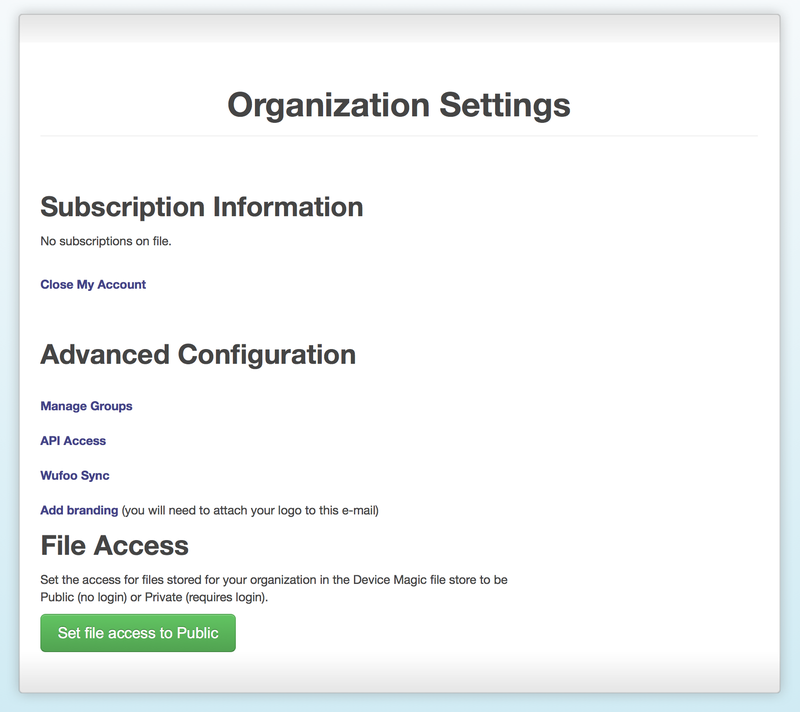 This takes you to the organization settings page (pictured below) where you'll see a new button, "Set file access to public." If you've ever wished you could easily resend a batch of submissions to yourself via email, spreadsheet or another destination, now you can! You can also delete multiple submissions all at once. To access this feature simply go into the form you have set up to send data to our online storage and click on destinations, then view submissions. You'll notice a new column of check boxes on the left hand side that you can now use to select multiple submissions simultaneously. Then, at the bottom of the screen, you can choose to resend selected submissions or delete them. Have a feature you want to see? Send us an email and let us know!